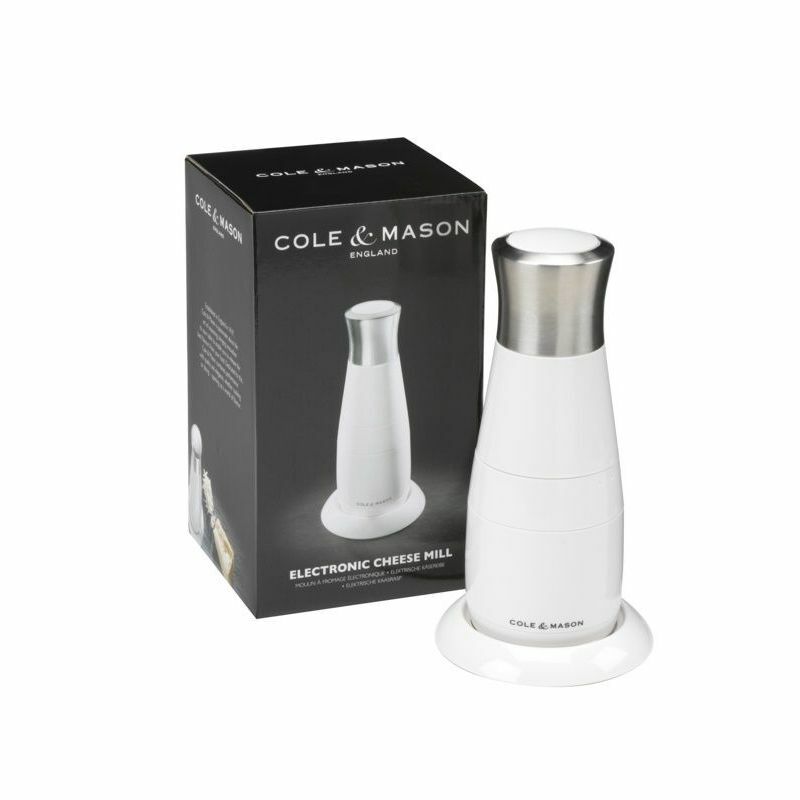 This Cole & Mason electronic cheese mill is ideal for use whilst cooking or for serving cheese like parmesan at the table. With its razor sharp blades that grate and shave hard cheese, it is operated with a single button press. The lower half of the mill detaches and with a lid can store cheese in your fridge. The lower half of the mill can be cleaned in the dishwasher.